So I recently got back into reading The Complete Fiction of HP Lovecraft, after about a year’s gap since I last dove into his work on my Kindle. I actually got from 15% to 32%, which for a 1112-page book is pretty good, if you ask me. 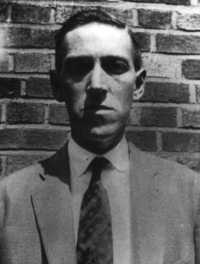 Now, if you don’t know who HP Lovecraft is, he was kind of the King of American Horror between the reigns of Edgar Allen Poe and current monarch Stephen King, though he didn’t really achieve any sort of fame or influence until after his death. When I read him last year, I found his style old and outdated, and while some of his stories were actually pretty creepy, others were just strange or boring (see my thoughts in Thoughts on Lovecraft: Part 1). So what were my thoughts one year later, having read several more stories? Well, he still prefers to write like a contemporary of Poe, one of his main influences in writing, which I find still rather irksome (I could parody it here, but I did that well enough in Part 1, so why try and repeat it?). I’m not that big a fan of that style, as I find it stuffy and somewhat boring, so occasionally that made for an annoyance to get through. And Lovecraft is still a proud and unrepentant racist and xenophobe. Seriously, “The Horror at Red Hook” manages to drag so many non-white ethnicities, including Kurds and Yazidis, through the mud. And he’s the only author I’ve ever met who’s used the word “eldritch,” meaning sinister or creepy (why didn’t he just use those words?). But other than those problems, the tales I read in this section of the book were much better than the ones I read in the last one. Sure, the short story “Azathoth,” which was the first mention of the Elder God, is actually just a fragment of a novel Lovecraft never got around to finishing, which was annoying. Imagine, I get to the end of that short piece, and I was like, “Wait, that’s it?” Thank goodness for Wikipedia, which explained to me why I shouldn’t be so angry. And there was that story, “Imprisoned with the Pharoahs,” which got a little dense with the language and made it annoying to get through, though as a fictional account of one of Harry Houdini’s adventures, it is pretty cool in retrospect. But other than those two, these were very good stories. They were creepy, dark, and had some pretty nice twists and turns in them. I can see why a few of them have been adapted several times into movies or radio plays and the like. “Herbert West–Reanimator” is a fun tale about one man’s growing obsession with overcoming death and extending life (very Frankenstein), and how that obsession causes a domino fall of events that shows the readers the price of obsession. “The Lurking Fear” felt like a Stephen King novel from an earlier age, filled with elements of insanity, the supernatural, and insane tastes. And “Shunned House” needs to be made into a movie by Blumhouse Productions, because it is freaking scary! It’s a vampire novel that hearkens back to the days when vampires were barely human, and is probably the best of the stories by him I’ve read so far. Imagine a movie version, with James Wan in the director’s seat! No one would see it and think of vampires with Twilight or any of that other sentimental crap out there ever again. Eek! Rats in the walls! Now I can’t sleep. Also, “The Rats in the Walls” is great if you want to scare anyone around a campfire. Just saying. You know, the more I read of Lovecraft’s work, the more I see why he’s been so influential. Sure, his early stories could be rather pointless or silly, and never approached scary, with the exceptions of a few, like “The Tomb” and “The Temple.” But as time went on, as tends to happen, he got better. He figured out what worked and what didn’t. He learned how to get into our heads and make us tremble, make us wonder. He pushed the envelope for his day, introducing elements of cannibalism, satanism, gods that care nothing for us except maybe as snacks. And he did it so well. And even now, after I’ve decided to take a break from him, I still find myself getting inspired by him. I’ve already gotten a few new novel and short story ideas from his stories, particularly “The Lurking Fear.” I have no idea when I’ll write them, but I think that when I do, they may even chill me. So yeah, I think I’m definitely a Lovecraft fan now. 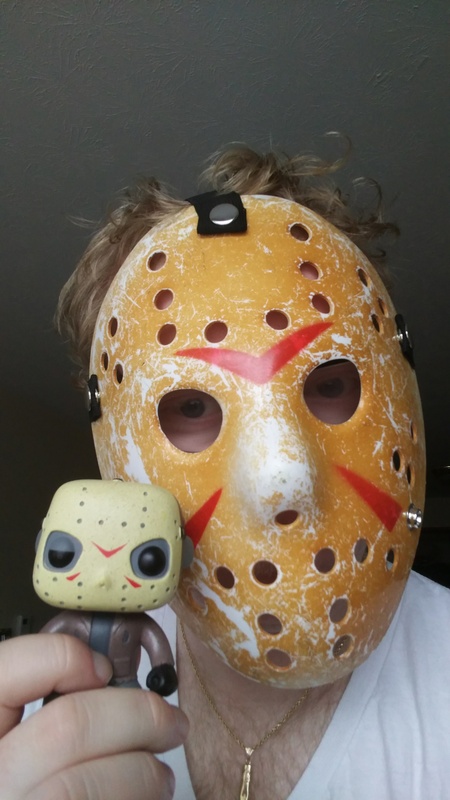 Last year I wasn’t so much of a fan, but now I think I am. He’s definitely grown on me. And I think I may visit him again someday, perhaps even before the end of the year. Especially if he gives me so many good ideas. And if you like a good scary story and can handle some old-timey writing style, then I suggest you visit Mr. Lovecraft too. Well, that’s all for now. I’ve got my own stories to work on, so I’m going to get on that. In the meantime, I hope you have a scarily good time, my Followers of Fear. Until next time! It wasn’t a dud! It wasn’t a dud! IT WASN’T A DUD!!! Sorry, had to get that off my chest. I’ve seen so many bad horror films lately, it felt necessary to shout praise of a good one. And I’m not surprised that this one is so good. Leigh Whannell, James Wan, Jason Blum, and Oren Peli all worked together on this film. These guys are known for great, scary films, so when they come together you know you’ve got something worth getting excited for. The third chapter in the Insidious saga takes place a few years before the events of the first two films. Quinn Brenner, played by Stephanie Scott, believes she’s being contacted by her dead mother, and encourages this contact. This tragically leads to a car accident that breaks both Quinn’s legs and puts her at the mercy of the spirit after her, The Man Who Can’t Breathe. At the same time, Elise Rainier, the medium from the first two movies, reappears to try and help Quinn, while facing her own darkness and a loss that has made her afraid to do what she does best. There’s a lot to be said on this film, so I’ll try and keep it to the things I think everyone should know before going to see this one. First, the actors all handle their roles very well. Scott, along with Dermot Mulroney and Tate Berney as her harried father and annoying preteen brother, have great chemistry as a family crippled by a devastating loss and pulled together again by the dark events surrounding them. 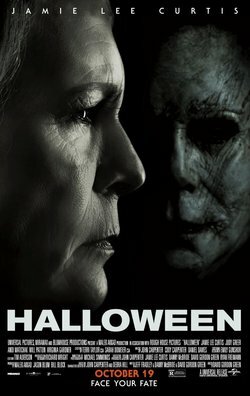 Best of all though is Lin Shaye as Elise, whose personal journey to recover her confidence is extraordinary and heart-wrenching. I almost cheered in the theater when she had finally regained her former airy manner from the first two films. Plus it’s fun to see her first interactions with Specs and Tucker and how they formed the team we met in the first film. And speaking of the first film, there’s a notable change between Insidious 3 and its predecessors. In the first two films, they built a mythology based around astral projections and the realms of the dead (aka the Further), but Chapter 3 seems to eschew that mythology for the most part in favor of creating a good old-fashioned ghost story, and a great one too. 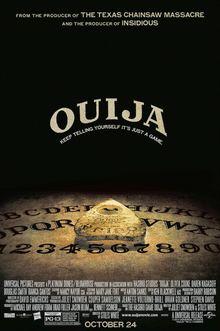 The suspense is powerful, the atmosphere tense and the creepiness of the whole movie, coupled with the amazing visuals and sets, the jump-scares and the screeching violins in the background music, will keep you on the edge of your seat throughout the movie. Creepiest of all, of course, is the villain, The Man Who Can’t Breathe. Honestly, even when you see him fully in the light near the end of the movie, he’s still one of the freakiest looking villains I’ve seen in recent memory. What makes him even scarier than his appearance is that you’re not sure exactly why he’s menacing this girl or where he came from. There’s mention of him living in Quinn’s building long ago, and something about “pets” is also mentioned, but we’re never really sure what his reasons are. And that just adds to the horror factor here. There are only two major complaints I have with this movie. One is that the character of Hector, the lovestruck boy-next-door, seems like he was going to be a bigger part of this movie than he was. Were most of his scenes cut for time? That, and I feel that the climax was a little cliched and a little too short to be truly frightening, though the ending makes up for that. Other than that, I had a really good time. All in all, I’m giving Insidious Chapter 3 a 4.3 out of 5. A scary good movie that’s put out of my mind all the bad horror films I’ve seen lately and make me want to tiptoe through the tulips with terrified glee. And if the critics and the box office agrees with me, I think we can expect a Chapter 4 someday. And you know what? Even if it might be a little unnecessary (ah horror, the original junkie for unnecessary movie sequels), I might just be okay with that.